[ad-ven-cher] noun, verb, ad·ven·tured, ad·ven·tur·ing. a commercial or financial speculation of any kind; venture. What an amazing word, with so much excitement. It’s a word that holds the promise of the unknown. 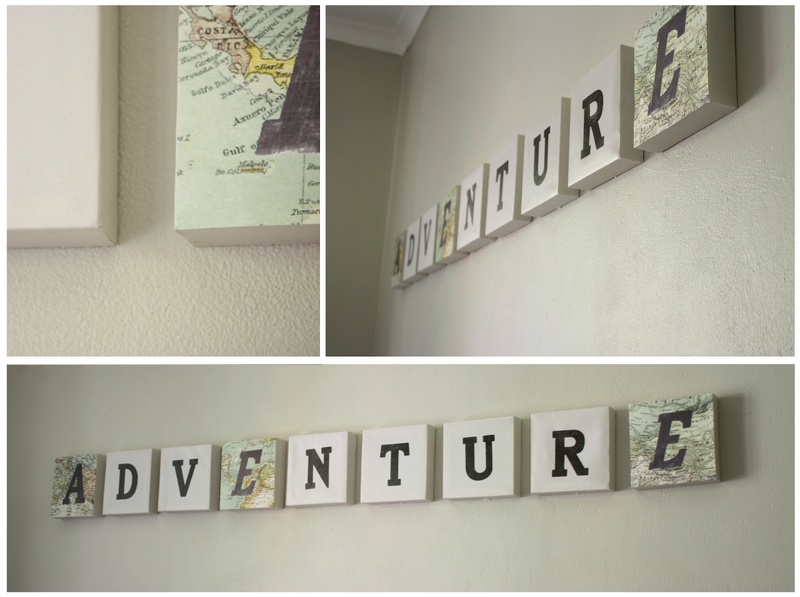 Recently Typo had a sale on their lettering canvases, only R10 each. I have wanted to put the word "adventure" up on my wall for quite some time, and this was the perfect opportunity. But, three of the letters were sold out - so I had to improvise! I bought three random letters, and with the help of Paint.net, I made it my own.